Taylor Swift is one of the world’s best known and most successful singers, having made the crossover from country music to pop and won the hearts of millions of devoted fans along the way. Who is Taylor Swift, how old is she, when is her birthday, how tall is she and what is her background? Taylor Swift is an American singer/songwriter who was born in Reading, Pennsylvania, on December 13, 1989. At the age of 14 she moved to Nashville, Tennessee, to pursue a career in her first love of country music. She is now 29 years old and has a string of hugely successful albums to her name, making her one of the best-selling acts of all time. She stands at 1.8 metres tall. Why is Taylor Swift famous and what is her occupation? Taylor Swift is a singer/songwriter, but has also tried her hand at acting, taking minor roles in films such as Valentine’s Day and in an episode of CBS’s popular series CSI: Crime Scene Investigation. According to Forbes, as of July 2018 Taylor Swift’s net worth is estimated to be around $320 million or around £245.5 million. How much does Taylor Swift earn? In 2017 she was estimated to have a net worth of $280 million according to Forbes, so the year to 2018 would have added $40 million to her worth. Tay’s 2018 Reputation stadium tour was the highest-grossing US tour in history grossing $266.1 million. How much does Taylor Swift weigh? Like all of us, Taylor’s weight fluctuates, but she is reported to weigh around 133 pounds or 60kg. Taylor still considers Nashville her home, where she owns a two-storey penthouse. She also now owns properties in California, Rhode Island and New York City. Who is Taylor Swift dating, who has she dated in the past and why did they break up? Taylor Swift is currently rumoured to be dating London-born actor Joe Alwyn. She even rented a house in Alwyn’s neighbourhood of Crouch End in North London so she could spend more time with him. Taylor’s previous boyfriends include another British actor, Tom Hiddleston, whom she dated for several months in 2016. The cause of the break-up was reportedly Hiddleston wanting more publicity out of the relationship than Taylor did. Prior to that she was dating musician Calvin Harris for a little over a year. Before that came another Brit star, One Direction singer Harry Styles. Both Swift And Styles cited different reasons for the romance coming to an end. In 2010 Taylor had a very brief relationship with Hollywood star Jake Gyllenhaal. Rumours put the end of their romance down to the 10 year age difference. There were also rumoured flings with Eddie Redmayne, Zac Effron and John Mayer. What song has she written about each ex? With many of her past relationships, Taylor has used the break-ups as inspiration for songs. It’s thought that The Last Time, from the album Red, is about Jake Gyllenhaal. Also from Red came the song I Knew You Were Trouble, which is said to be about Harry Styles as is Out Of The Woods from the album 1989. On her new album Reputation, the song Getaway Car is thought to be about the beginning of her relationship with Tom Hiddleston. Many of the other songs on the album such as …Ready For It?, End Game and Gorgeous are said to be about her current partner, Joe Alwyn. What is Taylor Swift’s relationship with Ed Sheeran? Are they friends? Ed and Taylor have been firm friends since he supported her on her 2013 Red world tour. Taylor says the pair have each other’s backs. What number one songs and albums has Taylor Swift released, when were they released? Taylor Swift has released six albums, Taylor Swift in 2006, Fearless in 2008, Speak Now in 2010, Red in 2012, 1989 in 2014 and Reputation in 2017. Her hits include Love Story from 2008, I Knew You Were Trouble in 2012, Shake It Off and Blank Space in 2014, Bad Blood in 2015, I Don’t Wanna Live Forever in 2016, Look What You Made Me Do in 2017. What song did Taylor Swift write about Katy Perry, why did they fall out? Taylor wrote the song Bad Blood about her feud with Katy Perry, started due to a dispute over some dancers on Taylor’s world tour. Taylor claims Perry stole them from her and this led to an ongoing feud between the female stars until they both appeared to have put the row to rest in 2017. 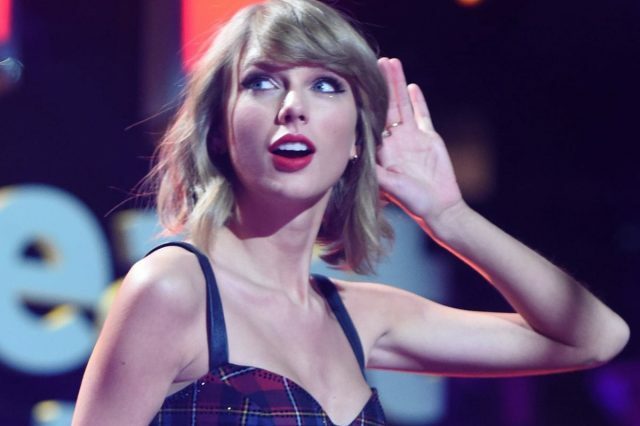 What awards has Taylor Swift won and when? Taylor has won hundreds of awards, from the Academy of Country Music, The American Country Awards, Billboard, The BBC, The Brits, The Elle Style Awards, MTV and a host of Grammys. How many pets does Taylor Swift have and what are their names? Taylor currently has two cats, named Meredith and Olivia, who are both Scottish folds.